With the official release date firmly set into the mind of any Star Wars Fanatic, The Last Jedi is scheduled to first hit our screens on the 15th of December 2017. The action-packed film is the second in the Star Wars sequel trilogy, following Star Wars: The Force Awakens, released in 2015. While produced by Lucasfilm, the movie will be distributed by Walt Disney Studios Motion Pictures on screens worldwide, providing viewers with the on-screen return of Adam Driver, Mark Hamill, Daisy Ridley, John Boyega, Oscar Isaac, Lupita Nyong’o, Domhnall Gleeson, Anthony Daniels, Gwendoline Christie, Andy Serkis, and the late Carrie Fisher. As Fisher passed away in December 2016, The Last Jedi will be the stupendous actresses final film role, making the movie exceptionally special and emotional for many Star Wars Fans all over the world. While the galaxy far, far away has taken viewers to an array of hostile locations including Jakku, Coruscant and Naboo, The Last Jedi is expected to add a whole new location to the Star Wars universe with the new planet named Canto Bight. 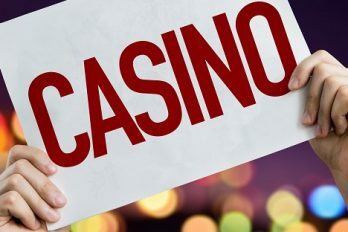 The Casino themed planet is thought to combine the wacky environment of Las Vegas with an array of enticing new aliens and sci-fi creatures thought to present themselves as some of the galaxy’s rich and powerful. 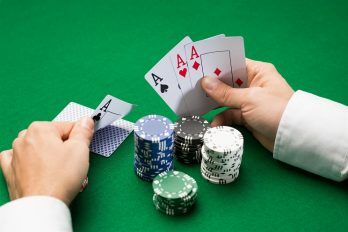 In this article, we explore Canto Bight in more detail, providing you with as much pre-release information on the casino planet as we can get our hands on! Thought to be based around a Las Vegas theme, Canto Bight is expected to house some of the Star Wars galaxy’s most rich and powerful characters. Throughout the new film, Canto Bight is believed to frequently make an appearance, acting as the setting for some of the movies less action-packed moments. Creative director of Lucasfilm Publishing Michael Siglain explained that scenes set on the new planet will focus on the “adventures of the exotic aliens and creatures who frequent the captivating casino.” With each story following a different character through an array of locations within Canto Bight, including racetracks and parlours, just to name a few. 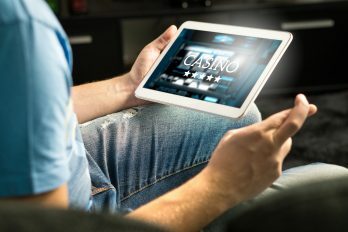 Vanity Fair recently released information that the interior shots of the casino planet were shot in Pinewood Studios, whilst the exterior shots were taken on location in Dubrovnik, Croatia. During the shoot in Dubrovnik, some of the city’s locals managed to snap photographs, which were leaked to social media shortly afterwards. While this sneak peak was exciting for Star Wars fanatics all over the world, it wasn’t long before the official photos gave us a more detailed view of some of the new an improved characters of Canto Bight, in addition to the release of information suggested that Rose and Finn are on a mission to the planet for the resistance. 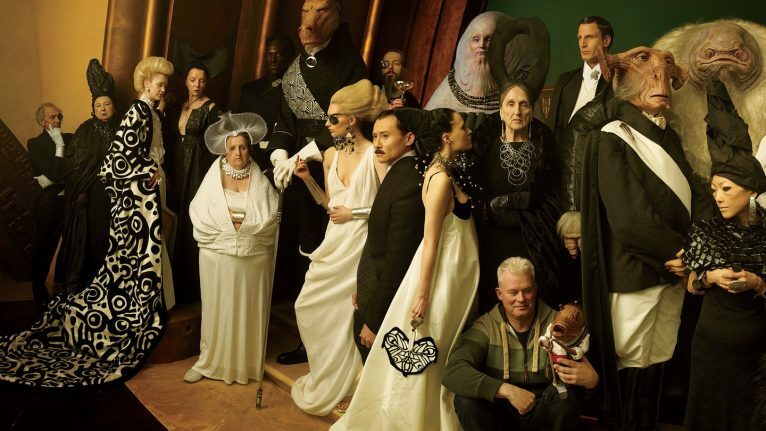 Taken by renowned photographer Annie Leibovitz, the official on-set photographs indicate that the new characters of Canto Bight are unlike anything seen previously in the Star Wars universe. Whilst at times we’ve caught a glimpse of some of the galaxies rich and famous, the majority of the previous films focus on locations within the galaxy that are taken over by war and slavery (like Tatooine) or the military (the Empire and the New Order). Unlike the characters set in the previously mentioned edges of the galaxy, it is apparent from the official photographs that the new characters of Canto Bight are dressed in smart, black tie/evening attire. This relatively ‘normal’ style of clothing differs largely to anything the film has seen before, and it will be interesting to see how Lucasfilm manage to make these costumes fit in with the usual Star Wars clothing we are all used to. According to Lucasfilm Story Group’s creative executive Pablo Hidalgo, Canto Bight is a planet where the upper-class have “carved a life for themselves where they can live apart from the galactic struggle”, after Bosnian Prime, the New Republican’s capital was destroyed in the previous film, The Force Awakens. “They found a way to live above it or beyond it. There’s a class of wealthy that have helped build all sorts of loopholes in the society that will always ensure that they’ll survive or even thrive no matter what else is happening out there.” Explains Hidalgo. When interviewed by Vanity Fair, creator of the film, Rian Johnson suggested that there may be more to Canto Bight than first meets the eye. Official photographs show no real evidence that Laura Dern’s character, Admiral Amilyn Holdo, will play a part in the new planet; although, the way she is dressed in high-society clothing suggests that she would fit in well with the rest of the upper-class characters located in the casino city. Currently, we know minimal information about the Admiral, other than that she is a high-ranking officer in the Resistance. If this is anything to go by, she could well fit in with the rich society of Canto Bight; leaving her with a real possibility of making an appearance on the planet sometime in the film. At this point in time, we are still unsure of whether Canto Bight could be the first dedicated casino planet in the Star Wars universe, or whether it is simply a regular casino, much like the one found on Cloud City. Unfortunately, Canto Bight didn’t feature in the first trailer shown for The Last Jedi, but with more footage speculated to be shown in the near future, we can live in hope to learn more about the casino planet – failing that, we will just have to wait until the official release of the film in mid-December.